« Taking back America ONE VOTE AT A TIME.. If you see this poor pup Please call the number. Don’t try to catch him as greyhounds will run and be very far away too fast. 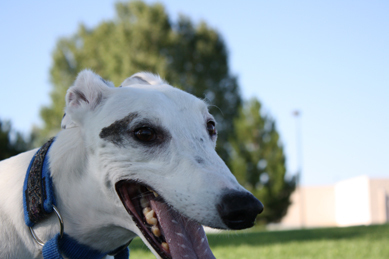 Missing Greyhound in the Northglenn/Thornton Colorado Area. White Male, Small Brindle Mark above his right eye, 1105 tattoo’d on one of his ears, answers to Bandit. Last seen at the Regatta Apartments at midnigh…t on New Years at 104th and Irma in Northglenn CO. Please call 720-301-7438 if found.